Poll: Donuts. Is There Anything They Can't Do? Wait...is it doughnut...or maybe d'oh-nut? You can share a baker's dozen with one of the greatest donut lovers of the world. Of course, the most famous donut-lover of all, Homer Simpson, will not be an option. Homer doesn't share. So who do you pick? Want to talk about it? Click here! Michael Valte: Time to make the donuts, and then I'm retiring to Florida with my hot little stewardess girlfriend. 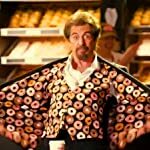 And believe me from now on it won't be donuts I'll be eatin'! 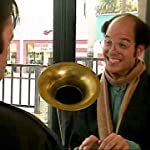 Doug: I went out there and they got the worst service, eh. I sat in that place for like two-and-a-half hours, and no one waited on me, eh. 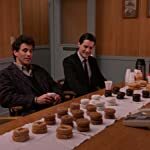 And I thought, jeez... Bob: You're supposed to, you get your own donuts. You go up to the counter. 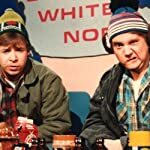 Doug: Oh, get out, eh. Oh, jeez, I was there from like three am to nine am! Gny. Sgt. Hartman: Private Pyle has dishonored himself and dishonored the platoon. I have tried to help him. But I have failed. I have failed because YOU have not helped me. YOU people have not given Private Pyle the proper motivation! 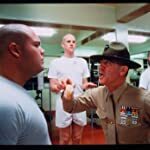 So, from now on, whenever Private Pyle f***s up, I will not punish him! I will punish all of YOU! And the way I see it ladies, you owe me for ONE JELLY DOUGHNUT! NOW GET ON YOUR FACES! Chief Wiggum: [singing] Donuts, I got donuts, I got... Hey I know you! 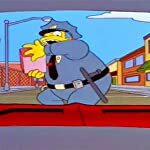 [Snake runs him over] Chief Wiggum: Hey wait up! We gotta swap insurance info! Sheriff: Jelly donuts? Cooper: Harry, that goes without saying. 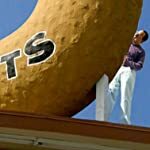 Wayne: This is Stan Mikita's Donuts. Excellent munchables. I recommend the sugar pucks. They're excellent. Droopy: Want a donut? The Luddite: No. I don’t eat doughnuts. Or hamburgers. Or any other food that has approval of the masses. 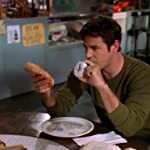 Xander: Respect the cruller and tame the﻿ doughnut. Miranda: Whoever invented glaze...is a genius. That is worth being fat for. 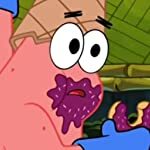 [call for help is heard in the distance; Patrick is eating a donut in the dumpster behind Flipper's donuts] Patrick: Sounds like another job for Patrick-Man! I'll finish you off later, day-old donuts. Right now I must move rapidly and act heroically! The Narrator: The subjects took the drug in the form of a THC pill. Nausea was then induced with a day at the carnival, which is what attracted Buster to the experiment in the first place. Buster was found two days later trying to eat his way through this enormous plaster donut. Police staffer: See you at the next bloodbath? Dexter: Never miss a party. Dexter [voice over]: Salt of the earth, these people, and they work hard. But with the solve-rate for murders at about 20% Miami is a great place for me. A great place for me to hone my craft. Viva Miami! Debra: Thanks for the donuts. I gotta go. 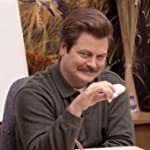 Liz: You ever put a donut in the microwave? 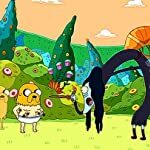 Jake: I never ate your donuts! Witch: You're eating one right now! Jake: Mawn knot! Whoa! 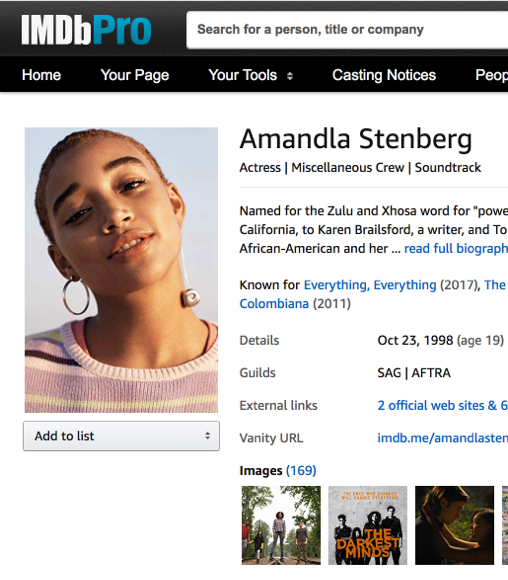 That's weird. I don't even remember grabbing this. My subconsciousness must be hungry, huh? 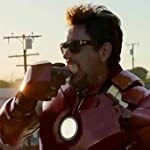 Nick Fury: Sir, I'm gonna have to ask you to exit the donut. Al (aka Dunkaccino): You want creamy goodness? I'm your friend. Say hello to my chocolate blend! Kara: Do you like donuts? 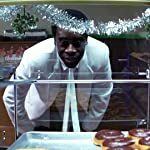 Barry: Who doesn't like donuts? 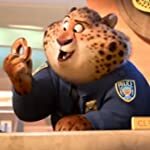 Clawhauser: Hoo, I'm so sorry! Me, Benjamin Clawhauser, the guy everyone thinks is just a flabby donut-loving cop stereotyping you. 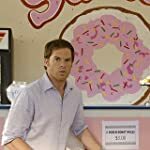 Arthur: The name of this place is Superior Donuts. I sell donuts. My parents did not smuggle me out of Communist Poland in the hold of a cargo ship so that 65 years later, I could sell you a damn cronut!